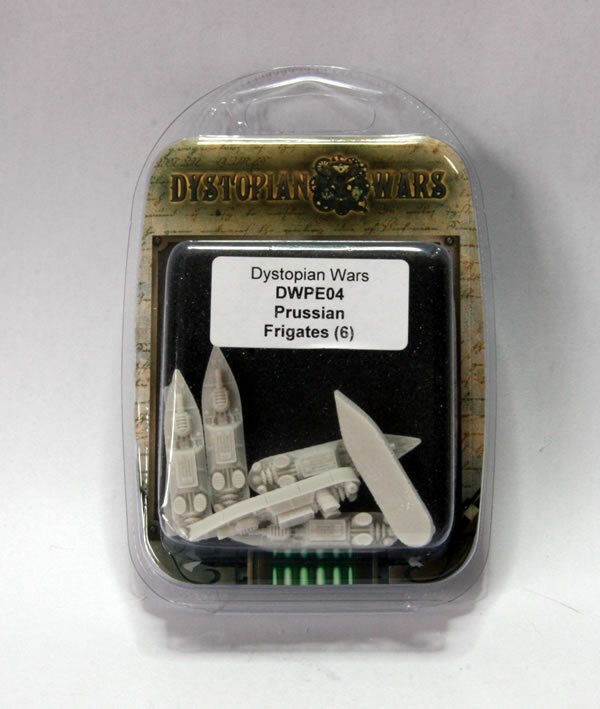 Official site for the Dystopian Wars. Photographs and information on the classic Victorian Steampunk game. Wargaming in the world of the analytical engine. 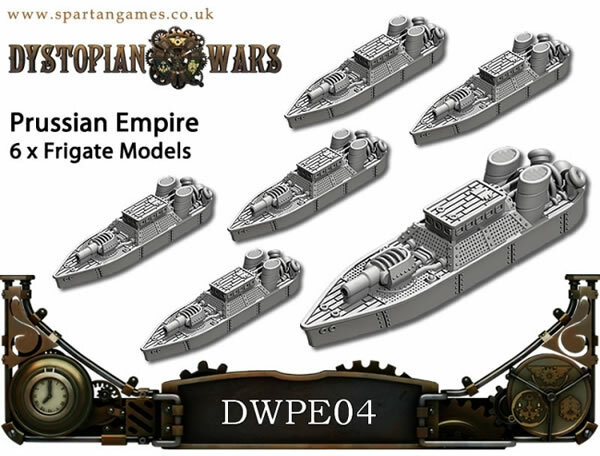 The Dystopian Wars is a miniatures games from Spartan Games. The Prussian Frigate is a simple ship with a single turret and aft Tesla weapons. Squadrons of Frigates are often used to screen larger ships, combine their fire against enemy ships, and sometimes chase down vessels that have submerged below the ocean waves. This is how they look from the marketing material. There are six models and they come in a single blister pack. These are very small models, but are very well detailed.